Psychopharmacology or the administration of medicines that explicitly treat the symptoms of mental illness have been practiced since the discovery that neurochemicals in the brain are responsible for the development of these conditions. 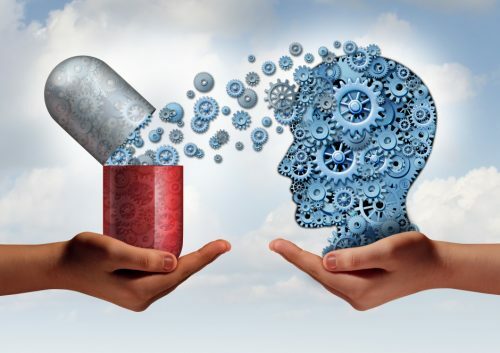 Specific medicines target specific neurochemicals in the brain by inhibiting or increasing the release of neurotransmitters to control and regulate particular symptoms. A lot of people have benefited from these medications. Although there were also some, who have experienced the opposite. Bottom-line is, each person responds differently to the type of drug prescribed, and it is critical that proper education on these medications are attained. Anxiolytics. These group of drugs treats and manage anxiety disorders such as obsessive-compulsive disorder, social phobia, generalized anxiety disorder, post-traumatic stress disorders, and panic disorder. Also called minor tranquilizers, these medicines come in several classifications like benzodiazepines, sedatives, and hypnotics. Persons taking benzodiazepines should be forewarned that these drugs can take effect for several weeks. The delay of the therapeutic effects can sometimes be the reason on why people stop taking them. Drowsiness is a typical reaction to the drug as well as impairment in cognitive abilities. One should avoid driving or operate heavy types of machinery to prevent accidents or injury. 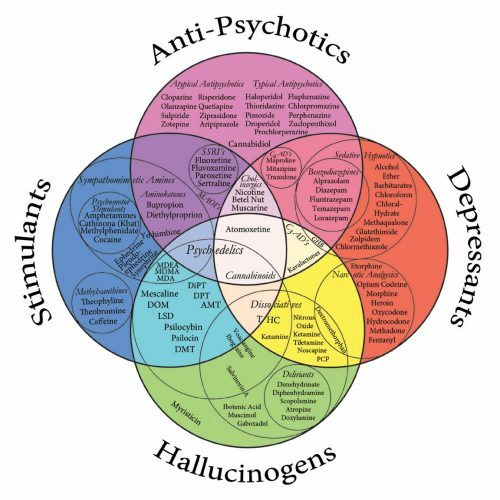 Antipsychotics. These drugs are used to treat schizophrenia and related conditions that present disturbance in thought processes. At present, there are two types of antipsychotics in the market – the typical or conventional ones and the atypical or neuroleptics. The former group were first used in 1950 and are still being used today. However, because of the adverse effects and complications they present, doctors are using the newer forms to prevent or minimize the occurrence of undesirable effects. Then again, drugs don’t just present itself 100 percent side-effect free. In fact, atypical medications also have life-threatening complications that need to be monitored. For example, clozapine is used to treat hallucinations but can also lead to the development of agranulocytosis, or the depletion of white blood cells thus making the person more susceptible to have an infection. Continued use of antipsychotics like in the case of chronic schizophrenia can lead to irreversible complications like tardive dyskinesia. Antidepressants. These drugs are used to manage clinical depression. Examples are selective serotonin reuptake inhibitors (SSRIs), serotonin and norepinephrine reuptake inhibitors (SNRIs), tricyclic antidepressants, and monoamine oxidase inhibitors (MAOIs). SSRIs and SNRIs are the most recent ones and offer lesser side effects. Nonetheless, the older versions like MAOIs are still used in people who don’t respond well to the newer forms of antidepressants. MOAI entails following a special diet to prevent the occurrence of a hypertensive crisis. The person should be advised to eat foods that are tyramine free. Mood Stabilizers. These drugs specifically treat and manage bipolar disorders. Lithium is a typical example. Lithium blood levels need to be monitored to prevent lithium toxicity which includes seizures, blackouts, loss of coordination, slurring of speech, and rapid heartbeat. Doctors also prescribe anticonvulsants as mood stabilizers. Persons taking medications for their mental illness should follow their doctor’s advice and dosage recommendations strictly. Some drugs need monitoring of blood levels and essential organ functioning like the liver, kidneys, and thyroid to determine that it still falls within the reasonable limits preventing it from reaching blood toxicity levels. Abrupt discontinuation of these drugs is not encouraged. A step-down process or tapering of dosage is followed to avoid withdrawal symptoms. A special diet is suggested for some drugs like MAOIs and lithium. Make sure to consult a nutritionist to help plan and prepare your meals. Lastly, call your doctor or schedule a follow-up if you are experiencing unwanted signs and symptoms while taking the drug.